As Mobile technology is increasingly growing, businesses are learning that the best way to maintain a constructive relationship with customers is by providing CRM accessibility while on the go. You will most likely have a Mobile App for Customer Relationship Management, if your organization has a sales department. CRM sets the customer at the center and helps you improve your position by working more customer-focused and allow you to meet your customer’s needs in a better way. As the workforce increasing day by day and employees spending more time away from their workplace, a superior mobile app is essential to ensure those worthy interactions with customers are not left out without any attention. With the rise of mobile computing, smart devices, businesses are discovering that anything which can be done using a computer in the office can also be achieved just as easily while on the go. Mobile CRM is and will continue to be a rising focus for the CRM arena and one of the great benefits it provides is that it allows businesses to organize themselves more effectively. Previously, many Sugar mobile applications have had limited functionality. As we trail ahead, mobile platforms are becoming more powerful. In addition, users will be able to better organize and tailor their mobile experience to get the data they want and convert that data into actionable events to deal customer needs in real-time. CRM has already transformed the world of business. And as customers see the improved and better service and reduced conversion times that come as a result of CRM on their phone, as information becomes more precise and concrete; and as employee productivity & engagement improve, the sales organizations are seeing a definite increase in the opportunities. There’s no reason why your business should have to be revolved around a stable, office-based computer system. With the availability of CRM system on your Smartphone’s or tablets, you can act faster and shorten your sales cycle. It allows businesses to access and manage customer’s information throughout the company in an effort to better serve their business clients. The end result is that mobile CRM is turning around the face of business, often in ways that you may not have imagined. It’s time to give your customer’s improved and controlled systems with the benefit of Wordpress and SugarCRM integration by offering a dedicated Customer Portal accessible from their WP interface. It will make business function smoother and faster. It also simplifies and reduces communication with the customers as they would be able to update all the modules by their own using the interface. Biztech Store, a leading provider of cost-efficient & reliable plugins, today announced the introduction of Customer Portal Pro to offer WordPress customers the benefit of SugarCRM and WP integration by offering a dedicated SugarCRM Customer Portal which they can access from their WordPress interface .The Portal helps companies improve communications with customers while reducing costs by enabling key CRM business processes. Many small businesses and their customers would benefit from developing their website from a one-way informative source to a more robust and interactive customer service utility. The idea of a customer portal feature on a site is appealing-but the thought of implementing one can also feel confusing. The integration of two impeccable platforms makes the business solution simpler and stronger. Customer Portal Pro provides deep industry-specific functionality and an interactive interface to deliver new solutions that empower your business to pioneer and stay matched. The Plugin provides customizations which fulfill the needs of the business, regardless of a small, medium or large scale business organization. It lets you quickly create a completely customized business portal for your company. It allows organizations to quickly and easily create a dedicated SugarCRM Customer Portal which they can access from their WP interface, a more secure and efficient way of consuming information and handling processes, applications and other users to meet the requirements of specific industry sectors. With seamless business functionalities, WordPress users can update their data of SugarCRM accessing the crucial details like leads, contacts, accounts, cases, calls, meetings etc. It offers all the essential features to manage customers and their contacts, invoices and projects, enabling organizations of all sizes to capture client related information and examine the data to achieve superior quality and ultimate customer satisfaction. Allow specific customers access specific modules. Allow or restrict the module access to WordPress customers. Provision to allow users to edit only specific customer details. Roles can be assigned to the users. Assigned users can be configured in WP and managed easily. Retaining data confidentiality with access rights to particular customers. Simplify customer communication with reduced time and efforts. Data entered through WP interface shows in SugarCRM instantly. Better customer loyalty and much more. The functionality of portals can vary greatly. 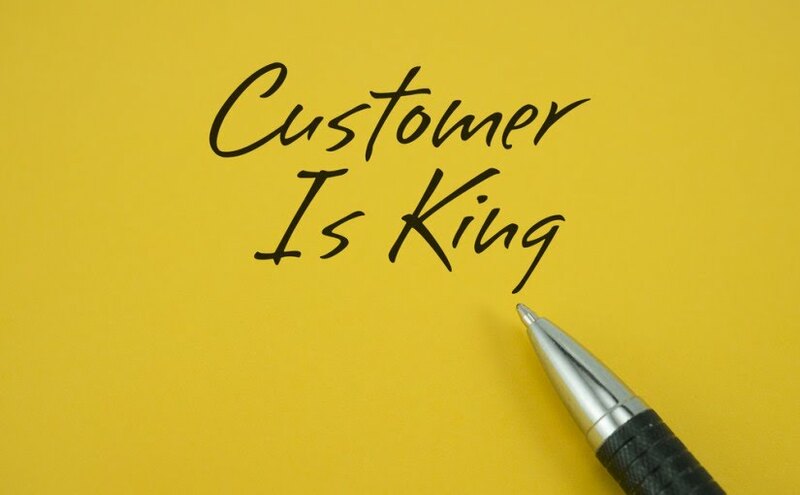 Productively building brand loyalty and keeping stable and long relationships with customers is important to pull in and hold back customers in the face of increasing competition. Customer Portal Pro will help companies build portals highly tailored to their needs and lets you solve problems, find solutions and have better reach and contact with your clients. This augments the customer services which results into happy and satisfied customers. In the current E-Commerce world customer is the king. To build successful eCommerce stores, you have to meet all the requirements of the customers. In this competitive world, fast & reliable services fetch more customers/buyers than quality of products. So, to be on top of the charts, you have to be one step ahead of the consumer requirements. There could be many ways to attract customers, for instance by offering exclusive discounts or offers, by providing flexible product delivery options, by availing advanced offerings and a lot more! As far as the market trend goes, the most important requirements of the current customers are, to have quality products, decent discounts, preferred delivery options, on-time deliveries and good product services. Many customers these days go for the quality products rather than going for the cheap products. They are willing to pay handsome amount of money if you are delivering them product that matches their expected quality. Still, customers will prefer discounts for their selected products. They’ll search for best possible options available and choose from them. Most imperative aspect of customer satisfaction is Delivery of products as they require. They don’t want to wait for products. They want it when they want and where they want. They don’t want their product to arrive when they are not around. They want their product delivered fast and on time. Only solution is to help customers with precise delivery dates and time options. So that, online store owners can have at least 100% customer satisfaction and boost online sales quickly! Other significant scenario is to measure how products are delivered! If customers want to return the purchased products, then must not face hardships of returning the products. Delivery time slots or flexible delivery options help add value to online stores! Customers can have freedom to select the delivery dates, which is the primary element for them to be contended! The efficient delivery date manager can easily handle customers’ orders; this can be an ultimate helping hand to eCommerce store owners! Moreover, acquiring accurate track records of shipping orders with product details is also a wise way to head with! Thus, these are just different yet the easiest ways to improve your customer service! Many online portals are developed and devoted to Pharmaceutical Industry that serves as the platform of choice for suppliers and buyers of different layers in worldwide Pharmaceutical Technology. Customer Service Portal brings to you a high quality WordPress platform for the Pharma Industry, to bring their clients and customers together and promote their products economically and effectively worldwide with the integration of CRM. Pharmaceutical companies used to sell treatments only to hospitals and doctors. Today, both patients and physicians expect easy access to in-depth drug information. It enables your sales team to sell more effectively, and deliver better care, with customized data and responsive support for every patient. Pharmaceutical companies are facing broad changes in how healthcare is marketed, where and how it’s delivered, how it’s consumed, and who pays for the products and services. In response, the industry is strengthening to manage risk and meet new customer’s demands in a better way. Companies can transform their business to find new growth and profitability in this evolving healthcare market. Having a client portal is a significant boost, helping companies offer more complex services quicker than ever, even while expanding their global outreach and reducing costs. It has become an urgent need for the companies to increase their connectivity with their employees and stakeholders across the globe to maintain the product flow cycle. This helps to improve and automate the business process and to have a better collaboration with business to meet user needs. Moreover, integration with CRM provides Real Time synchronization of Data, which will be helpful for employees, patients or providers, no matter where they are! Generally, customer portals in a pharmaceutical world are catered to help the patients in coping with their disease conditions & difficulties, provide them with disease state community information that they can use to manage their diseases, to get community help and to manage its side effects. In a way, this is really providing a customer interaction center, to interact with the Knowledge Base and associated analytics to provide the right message to the appropriate person, at the required time, and possibly creating documents and FAQs that are useful for the patients, for 24 X 7 availability on the web. If there was ever a time for these companies to adopt agile technology that helps both IT and businesses with innovative solutions, it is now! The need to compete in the emerging markets, along with improved restrictive pressures, means that speed to market counts more than ever. In addition, there are more data available which can provide more personalized and targeted products for local markets. Thus, you can observe an improved engagement with clients or patients by offering new services that allow monitoring across the continuum of care leads to a better support from patients and better care results. Custom Product Design Tools Can Do Wonders For eCommerce Stores! In the current E-Commerce market customers look for customization in every product. They want their own footprints on every product from Clothes to Cards and Mugs to covers! So, as a Store owner, to grow forward in the current e-commerce world store owners need to provide product design tools to configure products as per user requirements. To fulfill all these needs Biztech has come up with magento brush your ideas extension for magento store owners. Store owners can add Custom Online Product Designer Software into the store and give multiple options for Personalized Products. With Brush Your Ideas can help multiple industries for product customization. 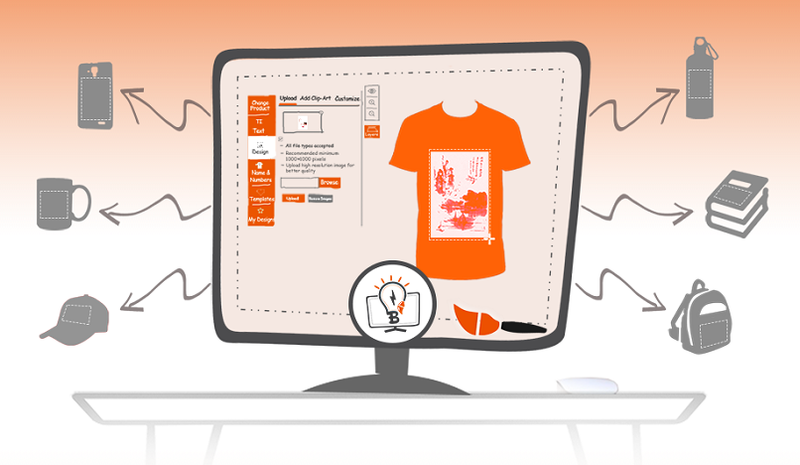 With brush your ideas magento extension let your customers design their own clothes the way they want. Let them design own costumes and accessories. Let them apply their own image with masking effects onto apparels and modify with elegant quotes. With personalized products designer tool let your customers design graceful card for their auspicious occasions. The card Designer Tool provided by Biztech is not only restricted for card designing, customers can also design Business cards, flyers, postcards, brochures, envelop, tags and catalogue. With custom product design tool for magento store owners, your customers can give personal touch to the gift before handing it away. Including our “Brush Your Ideas” extension with your online store for selling gift products like mugs, clock, photo frame and pen will provide the customers, an artistic edge to design the products. With Magento Online product Designer Tool let you customers design own skins for laptops & mobiles. This gives an opportunity of self-expression to your customers, thus bringing them closer to your store. You can also help them by providing templates for skin designs and let them make the work easy. With personalized product designer, you can let your customers design their own banners, posters, labels, stickers and calendars. They can make posters and signs as creative as possible with their own ideas and thoughts. This gives a personalized touch to the products. Thus, eCommerce stores can change a whole scenario of offering custom made products online. This can not only attracts more buyers but also helps generate more business ROI rapidly with great results. Biztech has come up with an exciting Magento Australia Post Shipping Extension for online store owners of Australia who ship parcels to domestic & international market. In current scenario customers want multiple shipping options to get the product delivery. For Example, if they have something important to be shipped they will choose any express parcel service. If they think they can wait for the parcel they’ll opt for regular delivery method. With Australia Post Shipping extension of Biztech, store owner can give multiple options to customers for choosing shipping method. Store owner can set handling fees for the order. It can be fixed or percentage based as per store requirements. Admin can add / delete multiple services for Parcels & Letters going to domestic areas of Australia or going to international areas out of Australia. Admin can enable / disable signature for shipment delivery. Admin can also add extra cover price for shipment. Admin will set the attributes which will be taken into consideration while getting rates for Australia Post Shipping methods. The final shipment dimensions will be counted by Best Fit Algorithm to get best possible rates. Admin can add specific countries to shipping list if shipping is available for specific countries. Or admin can enable it for all countries. Admin can set default values for dimensions, if product dimensions are not defined these dimensions will be taken into account while fetching shipping rates. Customer will be provided with all the shipping methods which admin has enabled for delivery. Thus, an improved online shopping activity is done from any nook and corner of the globe. Australia Post Shipping extension is well sleeved with various specifications, to add value to the online stores and offer an unmatched buying experience to the buyers. Why Do You Need A Mobile CRM App For Your Organization? The growth of mobile usage in recent years has increased to a great level. As adoption of mobile continues to grow and organizations become more compromising in work arrangements to their employees, conventional desktop applications such as CRM are moving into the mobile arena. With the rapid growth in Mobile usage, the sales teams around the globe are out in the field meeting potential customers. Mobile usage is rapidly growing and sales teams around the world are out in the field meeting their prospects. Implementing a mobile oriented strategy is no longer optional and is rapidly becoming an essential requirement. Why Mobile CRM Is Booming These Days? Customer Relationship Management system apps based on industries are powerful tools, but the user is completely detached from the source of information afforded by the CRM once outside a computer environment. As competition increases, it is crucial and essential for your sales force to be on top of its game. The whole sales process, from initial contact to after-sale service, benefits from mobile CRM. Representatives can access customer information, upsell, obtain customer data and produce an invoice with a few clicks and swipes of the touch screen interface. As this occurs, automated CRM functions updates customer data and other important post-sale tasks. Having your sales team equipped with a mobile not only offers a point of stability for the individual sales representatives, but it is also a tested & proven way to increase productivity, boost sales and company revenue. In 2008, Forrester Research found that 50% of Enterprises and more than 40% of SMBs were navigating, rolling out or currently utilizing mobile applications for sales automation. Forbes reported at the end of 2012, that there were 47 CRM applications in the Android App and 110 in the Store Apple App Store. The Gartner Group predicted an extraordinary growth rate of 500% by 2014 for mobile CRM. Increase in mobile usage between December 2010 and November 2012 was 225%. Research in Europe found that less than 34% companies have implemented a mobile CRM. SugarMob Pro is a tool designed for mobile devices including smartphones and tablets. By connecting through SugarMob, you can allow your sales team’s access to customer data through SugarCRM. A key benefit of using SugarMob is to allow your employees & sales force to access real time data while out in the fields meeting customers. Sales, data processing and customer communication are merged into a single CRM mobile application with the help of mobile technology. CRM accessibility on the go is not just a worthy tool for those involved in Business Development and for Sales Development team. Support teams, Customer service agents and even senior management can all benefit from using this prolific tool. In this fast paced world customers don’t want to wait for their ordered packages for long times. They want order delivered when they are at their premises rather than waiting for it or package being handed over to neighbors. In the current e-commerce scenario customer must stay satisfied to enhance store sales. 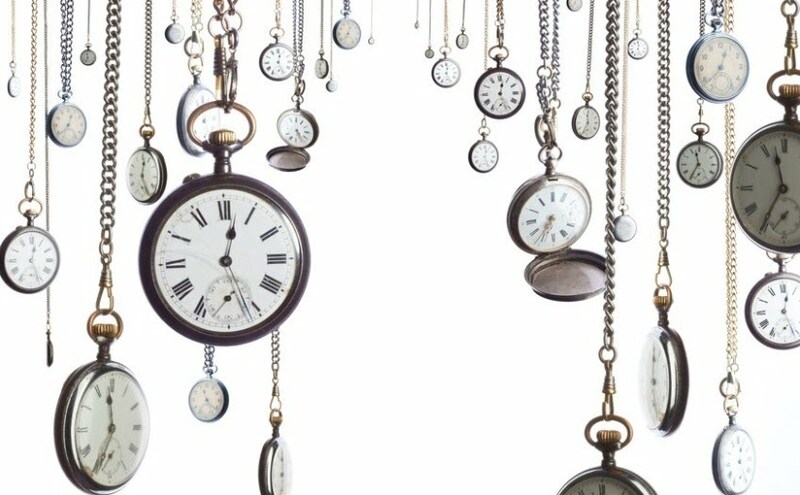 To match the requirements of on time customer delivery, Delivery Date Scheduler extensions are a need of the hour for online store owners. One such extension provided by Biztech is Magento Delivery Date Scheduler. Admin can add various delivery slots for the users to choose from. Admin have authority to enable/disable delivery time slots according to allowed delivery timings. Admin can charge for special Magento delivery time slot and same day delivery facilities. Admin can also disable whole day for delivery according to weekly day offs or special holidays. Customers will be provided with calendar on checkout page with time slots available for the day & delivery charges for that. User can also select multiple timeslots for multiple product orders. User’s selected time and date of delivery will be displayed on the order page. Admin will also get notified user delivery details along with the calendar displaying number of orders for the day. Why Businesses Should Go For Delivery Date Scheduler? It provides flexible delivery options to your customers. It helps improve business sales. It provides a transparent delivery process. Above are the key reasons to have such extension integrated to stores. Such extensions not only reduce abandonment but also make customers feel that they are important! Magento delivery time extension offers power to your customers which can help improve ROI of businesses. Also, it has changed the eCommerce landscape and aided all size businesses to attract more customers. In the current e-commerce scenario, customer is god. Day-to-day customers’ needs are being changed and that is the sheer challenge for the store owners. With an advent of technologies and solutions, needs have been increasing too; at the same time, products are customized with every possible thing! Customers want personalization in every solution they get. From pen to purse, from T-shirt to Mug! 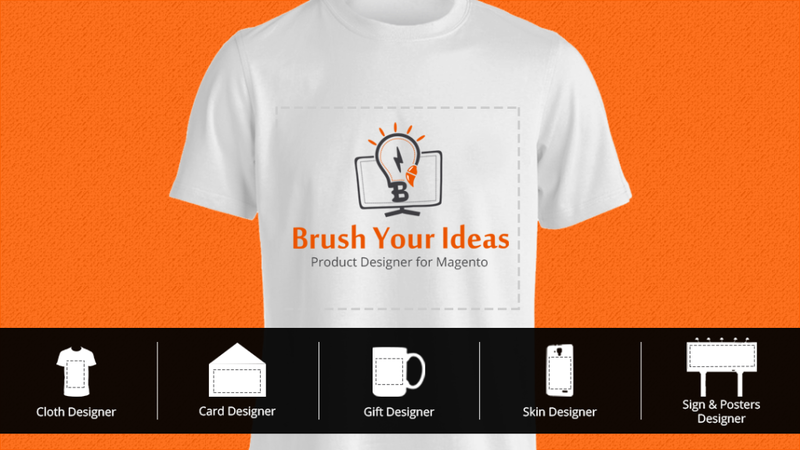 To accomplish the demands of product customization, Biztech Store has launched with a new product called Brush Your Ideas - Magento product designer extension. It is the perfect time saver and a creative guide that helps design products with diverse tools. So as to make users and admin understand, we have segmented its usages/features in two parts. How Admin Can Use This Product? Store owner can use Brush Your Ideas extension to customize any product they want. From Jewels to clothes, from Card to Cup anything and everything is customizable with the product designer tool. Admin can set multiple design areas for any product to let own customers design it in own way. Admin can set design areas as per requirement without any hassles. Admin can charge customer as per the customizations made in the product. Admin can set different prices for different type of customization and product customization prices will be set accordingly. Brush Your Ideas is a module based HTML5 product customization tool. If admin don’t want to let customization of some kinds he / she can opt out of it. Admin can decide what kind of quotes & clip arts a customer can use in customizing the product. Admin can also add masking effects from back end to let customers use masking effects for images. Admin can pre design templates for customers to choose from. This will allow customers to select predefined customization and use them as a reference for their own customization. How Customers Or Users Can Use This Product? Customer can opt for any product from the store and give it his / her own touch. Customers can also customize multiple parts of product as defined from admin in back end. Customers can pour their creativity in own products and make it as they want it to be. They don’t have to be dependent on other’s choices and can make product of their own choice. Premium customers can save their art in my designs section. So when they visit again they can have option for choosing from their own previously created products. Customers can use Quotes, Clip arts & masking effects to increase creativity. They can also opt for pr3e designed templates made by admin for reference. Thus, using Brush Your Ideas, one can add a charming element to the product and have a personalized touch by expressing emotions on it through different creative things! It is the most amazing custom product design tool for Magento! Your website plays an essential role in conveying the first impression for your business. Every business needs to consider moving away from a simple website to some level of CRM where you get to know much more about your customers. What they bought, what their preferences are and more. Your CRM system also needs to be integrated into a Website which will help you to have an all round system that can help you update customer Data and use it for actionable insight. The best possible way is to provide your customers with the benefit of CRM and WordPress integration by offering a dedicated SugarCRM Customer Portal which allows organizations using CRM to extend their customer service and support functions to the web to achieve more effective support and service, as well as higher customer satisfaction and self sufficiency. Customer Portal users can now create and manage cases for multiple contacts with the help of “Customer Portal Pro” Plugin. Organizations can define which contacts the portal user can access. This opens up the possibility to use the Portal in different ways where a user may require access to different accounts to service. Organize customers with custom attributes and keep a track of your engagement with them. You can manage everything from the ‘admin’ section of your site. The plug-in can integrate Accounts, Contacts, Opportunities, Calls, Meetings Cases, Documents, Notes, Tasks of SugarCRM modules to your WordPress interface. Businesses need an easy way to review, serve and handle their clients anywhere and anytime. But even more than that, your clients need a broader experience when interacting with your business. Go beyond managing customers and empower your clients with the SugarCRM client portal. Greet reverting customers on your website and allow them to review their past activity and take actions like scheduling appointments, sharing files and sending messages. Contact management is core to your business. Manage contacts and gather client information through your WP interface which will help you capture more contacts and gain additional insights so that you can prioritize leads and deliver better service to clients. Your client management team can track upcoming appointments and shared documents. A client portal allows clients to view the shared documents anywhere, and also upload files online and share documents. You can review the shared files along with the relevant client correspondence history. Share files as part of your conversation with clients already existing. Scheduling will allow your clients to schedule appointments and services at their own convenience. Offering self-service scheduling will make your business available round the clock, increasing the amount of new leads and yielding more business opportunities. Reminders will eliminate the back and forth communications for planning and scheduling an appointment. All the potential benefits technology can bring are only theoretical without smart adoption and logical implication. Customer Portal Pro allows Business owners to exercise prudence and implement the best tools that provide genuine value to customers while allowing the business to serve their needs as quickly as possible in the best possible way.